In 1932 the Hydro House was taken out of use and the generators sold. Rumor has it the generator was bought by a Christian radio station in Ecuador and is still being used today. 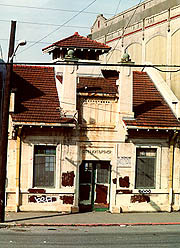 The building itself became a storage room for the batteries of the adjacent Steam Plant. March 2, 1988, the Landmarks Preservation Board officially designated the Steam Plant and Hydro House as Historical Landmarks. 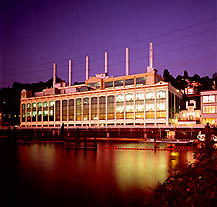 Zymo's renovation of the Steam Plant began in May, 1993. 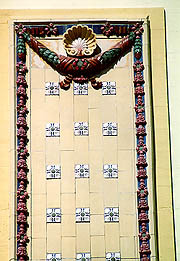 An example of the historical preservation work is the intricately detailed City Light Marquee. (click on image of Marquee for close-up detail). With the goal of accommodating increasing growth, while maintaining close proximity to various key education and research facilities, the Steam Plant became the focus of ZymoGenetics' expansion plans. Construction of the $25 million dollar project began in the Spring of 1993 and was completed in June 1994. The Steam Plant building has a total of 107,000 square feet spread over seven floors, two of which are used for parking. Following the Historical Landmarks Preservation Board's guidelines, the building exterior maintains its original character and features. The seven original smokestacks were replaced with six stacks that serve as exhaust for laboratory ventilation systems. Two full height terra cotta panels have been restored to their original grandeur with exterior colors selected to compliment them. 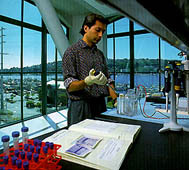 The development of the lakeside site includes amenities that can be shared by ZymoGenetics as well as the local community. The site has been revitalized to provide a restful garden setting at the intersection of Fairview and Eastlake; a 350 foot floating dock which provides public access to the waters of Lake Union; the Hydro House which has been restored into a public deli with meeting space offered to the community; and the art piece by Thomas Lindsey entitled Shear Draft that serves as a gateway into the Eastlake neighborhood. 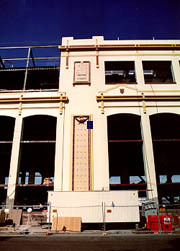 On September 8, 1994, the Steam Plant Building Dedication was celebrated. ZymoGenetics on Lake Union, 1995. The Duck Dodge and Sunset photos are by Fred Housel and the historical photos come courtesy of the Seattle Post-Intelligencer Collection at the Museum of History and Industry in Seattle. Special appreciation is given to Mary Leck at ZymoGenetics for her original research, photo collecting and writing of the Steam Plant's history.